Is it time to put a new roof over your head? There's much more to the project than its cost. First things first, you must decide what type of shingles to install. Read on for one expert's take on a trio of the most enduringly popular options. It’s hard to overstate the importance of a sound roof. Besides keeping out the weather, the roof also contributes to curb appeal, making it one of the few components consequential enough to impact the home both in terms of performance and aesthetics. When the time comes to replace something so pivotal, the usual rules of home improvement cease to apply. Most projects are purely elective, after all, but re-roofing isn’t a choice—it’s an essential step toward protecting the structural integrity, outward condition, and long-term health of your biggest investment. Given the high stakes, not to mention the costs, re-roofing tends to intimidate. Only adding to the stress are all the unfamiliar terms that planning a re-roofing project brings into play. There are tough choices to make, too. Perhaps trickiest of all is selecting a new roofing material. 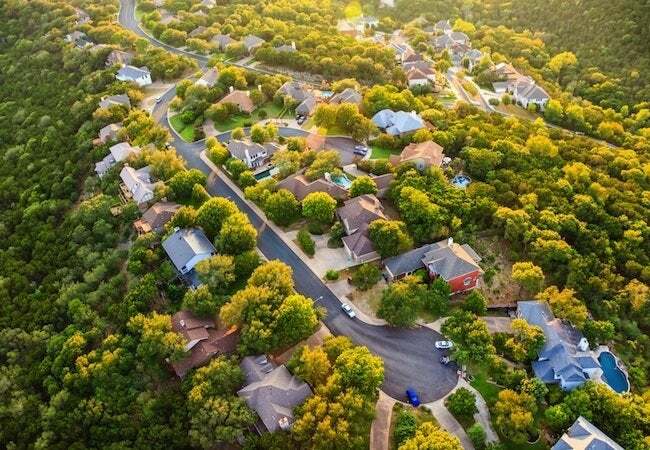 Unfamiliar with the relative merits of the many different options, the average homeowner often doesn’t know where to begin. For guidance, we spoke to Jim Eldredge, a product manager with Sears Home Services—a nationwide company with a decades-long history of helping customers navigate the re-roofing process from beginning to end. 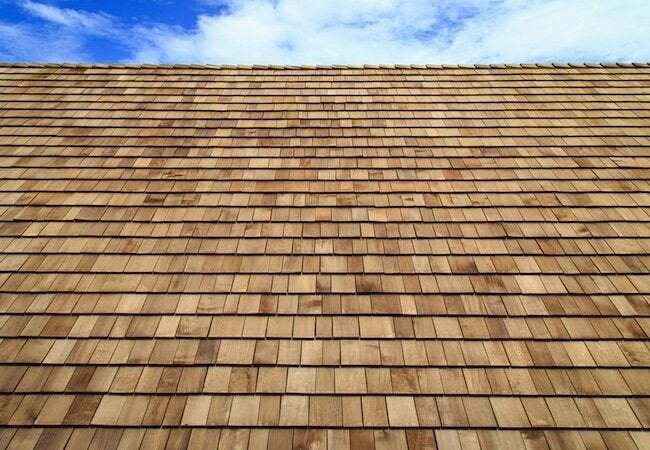 Before modern manufacturing delivered a host of new options to the market, wood shakes and shingles served for decades, if not centuries, as one of the few materials commonly used in roofing. Though by no means as ubiquitous as in the past, it remains a popular choice today, particularly among those seeking to enhance the period authenticity of a historic home. You can’t beat the look: Whether cedar, redwood, or pine—machine-sawed or hand-split—wood shakes and shingles offer an undeniable appeal. Their charm comes at a cost, though. With a price point at least twice as high as other roofing types, “wood simply isn’t in the budget for many remodelers,” according to Eldredge. “There’s also the issue of maintenance,” he says. Wood and water don’t mix. It’s that simple. So in order to remain free of rot and mold, wood roofing must be treated periodically with preservative, fungicide, or both. For those willing to meet their demands, wood shakes and shingles offer the reward of a 25-year average lifespan. But as Eldredge puts it, “not every homeowner feels comfortable committing to such a high-cost, high-maintenance material,” regardless of its aesthetic virtues. The terra cotta color and half-cylinder shape of clay roofing tiles are the perfect complement to the stucco finish found on the many Mediterranean-style homes in such warm-weather states as Florida and Arizona. “It’s expensive,” Eldredge says—sometimes even quadruple the cost of a budget-friendly material—but since tile roofs commonly last more than 100 years, “you get bang for your buck.” Some homeowners cut costs by opting for concrete, not clay, tiles. But compared to the genuine article, concrete tile roofing—though it fares better in colder climates—lasts only half as long. 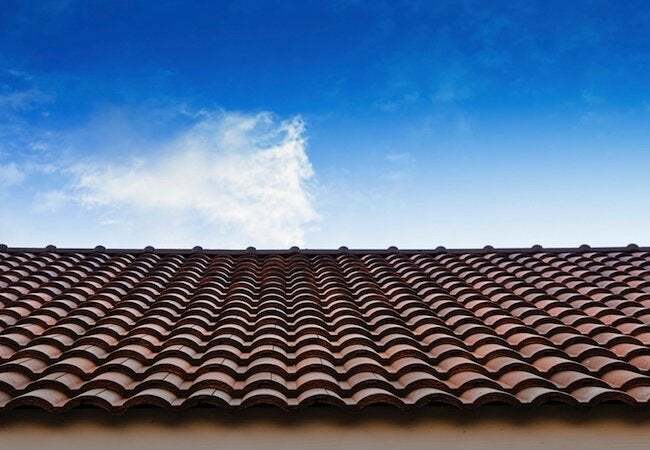 Still, “if there’s one major downside to tile,” Eldredge says, “it’s how much the stuff weighs.” Whereas a typical roof weighs about 230 pounds per ten-foot-square area, a tile roof covering the same area can weigh over 1,000 pounds. If you’ve never had a tile roof before, don’t commit to one without first consulting a structural engineer. “It might not be possible for your roof to support the anticipated weight,” Eldredge concludes. Of course, you can always add structural reinforcement to bolster the strength of your roof, but to do so would add even more to the cost of an already expensive job. If you were to close your eyes and picture the roof of a typical home, chances are that you would imagine a roof with asphalt shingles. “They have emerged as the industry standard,” Eldredge says. In fact, among the three lines of shingles routinely installed by Sears Home Services, all are asphalt, and for good reason. For one thing, asphalt shingles are often the most cost-effective option, not least because their ease of installation helps keep labor fees low. For another, “Asphalt shingles need little maintenance,” Eldredge says. The one knock against them—that they are unremarkable looking—no longer applies. “A lot has changed over the last 20 or so years,” Eldredge says. “Gray isn’t your only option anymore.” Today, companies like Sears offer asphalt shingles in a range of designs and colors. “But don’t pick your shingles based on aesthetics alone,” Eldredge advises. Instead, once you have found a look that you like, take the time to check the warranties of any roofing products on your radar. 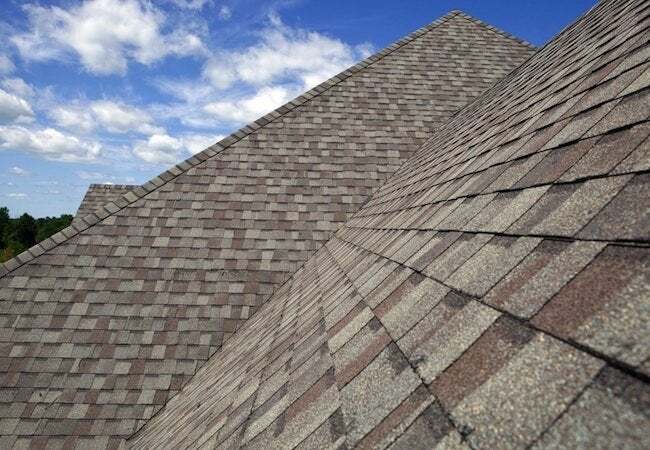 Whereas some guarantee 20 or 25 years of problem-free performance, others—including the Owens Corning shingles installed by Sears—carry a full 50-year warranty (view details). Make no mistake: Roofing product warranties are key, but if the shingles aren’t installed correctly, even a best-in-class guarantee can’t do you much good. 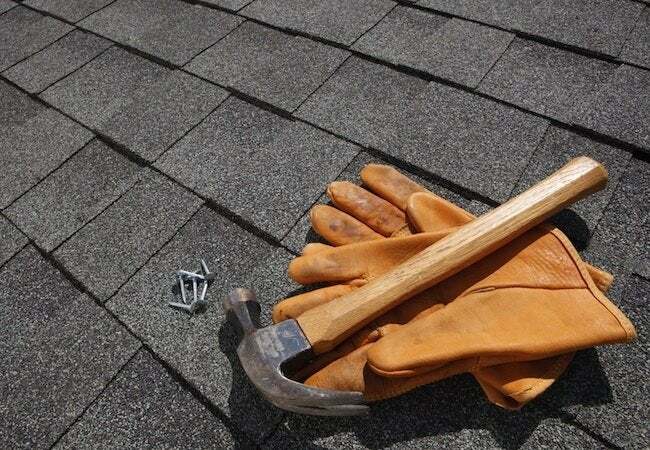 Also note that, as Eldredge says, “Roofs develop leaks and other issues more often because of poor installation than because of faulty shingles.” That being the case, the long-term viability of your new roof depends most of all on the skills and qualifications of the pros you trust to handle the job. Sears Home Services sets itself apart here, because unlike most small, local contractors, the nationwide company provides a limited warranty on labor (view details). Normally, if you hire a reputable contractor, you hope the work gets done on time and on budget. With Sears Home Services, you can expect more, thanks to the company’s trademark Satisfaction Guarantee, which promises a commitment to the success of your project that continues even after its completion. Still don’t know what type of shingles are best for your budget and needs? Schedule a free in-home consultation with Sears Home Services. Experts are ready and waiting to lead you through the entire process. Selecting a new roof material is just the beginning!